Chlorpheniramine-hydrocodone is a combination of an antihistamine and a centrally-acting narcotic antitussive. The antihistamine component of the drug, chlorpheniramine, reduces the effects of histamine, a naturally occurring chemical in the body that causes symptoms such as itching, sneezing, runny nose, and watery eyes. The opioid component, hydrocodone, acts directly on the brain to suppress a cough. Misuse of hydrocodone chlorpheniramine susp or tablets can lead to addiction with a risk of overdose and death. Let’s find out more about the uses and side effects of chlorpheniramine and hydrocodone as well as FDA warnings and drug interactions. What are the Possible Side Effects of Hydrocodone and Chlorpheniramine? What are the FDA and Other Warnings for this Syrup? Who Should Avoid Chlorpheniramine Hydrocodone? What are the Dangerous Drug Interactions? Is Addiction to Hydrocodone Chlorpheniramine Cough Syrup Possible? What Is Hydrocodone Chlorpheniramine Used For? The combination of chlorpheniramine/hydrocodone is used to treat upper respiratory symptoms associated with the flu, common cold, and allergies. The antihistamine in this drug, chlorpheniramine, treats and prevents symptoms such as a runny nose, sneezing, and watery eyes. The narcotic antitussive, hydrocodone acts directly on the brain and inhibits the signals that trigger the cough reflex. Together, hydrocodone and chlorpheniramine provide effective relief of cough and cold symptoms associated with flu-like illnesses. It is worth noting that this medicine is different from hydrocodone acetaminophen which is a pain reliever. The medication comes in tablet form as well as liquid hydrocodone extended-release suspension. The combination of chlorpheniramine with an opioid is available by prescription only and is not recommended for children under the age of 6 or nursing mothers. To lower the risk of addiction, take medicine exactly as prescribed – do not take larger or more frequent doses or continue treatment longer than recommended by a doctor. 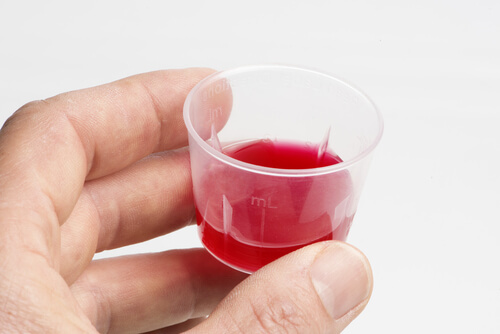 Shake the liquid medication well before each dose. 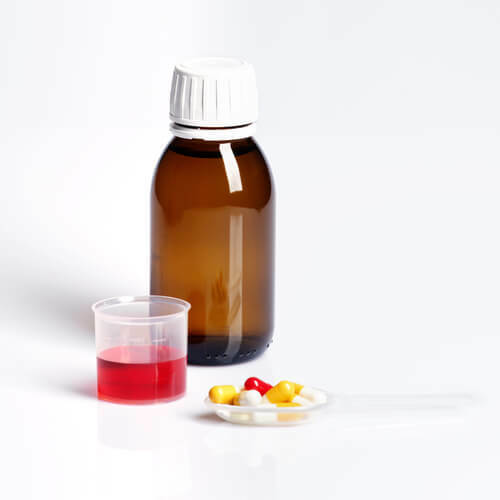 Use a dosing spoon or other measuring device to accurately measure hydrocodone pol/cpm 10-8/5ml liquid and other liquid formulations – household spoons do not give the correct dose. Take the extended-release capsule whole by mouth – do not crush, open, break, or chew it. The cold water extraction Hydrocodone is another widespread danger as it increases the risk of overdose. Do not take an extra dose to make up for a missed dose. Do not suddenly stop taking hydrocodone chlorpheniramine after prolonged use – this can cause withdrawal symptoms. Store the medicine at room temperature (60-85 degrees Fahrenheit), away from heat, and do not freeze it. The antihistamine/antitussive combination medicine hydrocodone chlorpheniramine is frequently prescribed to manage cold and allergy symptoms. Concomitant use of this medication with benzodiazepines, alcohol, and other CNS stimulants can cause respiratory depression, profound sedation, coma, and death. Because of the opioid in it, chlorpheniramine hydrocodone is habit-forming with a risk of addiction and fatal overdose. Use during pregnancy can cause withdrawal symptoms in the newborn baby. It has dangerous interactions with other medications. Refrain from drinking alcohol as this can result in dangerous respiratory suppression and death. Avoid driving or performing hazardous activities because dizziness and drowsiness can lead to falls and accidents. Do not combine with other prescription or over-the-counter cold and allergy treatments unless advised by a doctor or pharmacist – some products taken together can lead to an overdose. Call 911 or go to the nearest ER if there any signs of an allergic reaction, such as difficulty breathing or swelling of the face, lips, tongue, or throat. Hydrocodone chlorpheniramine suspension and tablets contain a narcotic medication that can make breathing weak. Death can occur if respiration slows down too much. If you notice any serious side effects, do not delay in getting emergency help. Who Should Avoid Hydrocodone Tussionex? Asthma or other respiratory conditions – the medicine can cause slowed breathing. Brain tumor or head injury – the medicine can cause swelling in the brain. Intestinal blockage – the medication can worsen gastrointestinal problems. Urinary problems or enlarged prostate – opioid chlorpheniramine combination medicine can build up in the body and worsen symptoms. Liver or kidney problems – opioids are primarily metabolized by the liver, but renal impairment can lead to drug accumulation and toxicity. Thyroid disorder – opioid drugs can interfere with thyroid hormones. Addison’s disease (adrenal gland disorder) – increased risk of respiratory and CNS depression from the narcotic. Alcoholism or drug addiction – increased risk of addiction in people with a history of substance abuse. Pregnant or breastfeeding – the baby can become dependent on opioids following exposure during pregnancy or breastfeeding. What Drugs Should Not Be Mixed with Hydrocodone Chlorpheniramine? Central nervous system depressants including other opioids and antihistamines, alcohol, benzodiazepines, antipsychotics, sedatives, and tranquilizers. Drugs that increase serotonin such as antidepressants (SSRIs, TCAs, MAOIs, and SNRIs), triptans, ondansetron, tramadol, and linezolid. Medicines that increase the activity of certain liver enzymes, including rifampin, phenytoin, and carbamazepine and make hydrocodone chlorpheniramine er suspension and tablets less effective. Medications such as erythromycin, ketoconazole, and ritonavir that reduce the activity of specific liver enzymes, leading to an increase in the plasma concentration of hydrocodone polistirex. Prescription opioids are used to treat pain, and in combination with chlorpheniramine, they are prescribed to control a cough. However, these drugs are narcotics with a high potential for abuse and addiction even when used strictly in accordance with a doctor’s orders. Opioids make people feel happy and relaxed. Some people become addicted to the euphoria produced by these drugs without realizing their harmful effects. Prolonged use of opiates leads to a reduction of endorphins in the brain. The natural function of this neurotransmitter is to reduce pain perception and create a sense of euphoria. Continued abuse of opioids causes the brain’s reward system to dysfunction, and the addict becomes dependent on the drug to numb physical or psychological pain. Addicts seeking a hydrocodone chlorpheniramine high may try to obtain it from opioid cough suppressants containing hydrocodone polistirex and chlorpheniramine polistirex. In addition to the risk of adverse effects, such as weak breathing, abuse of this medicine can lead to potentially fatal interactions, with alcohol, for example. The misuse of chlorpheniramine and opioid-containing medications can lead to profound depression of the central nervous system, respiratory depression, coma, and death. An overdose of opioid cough suppressants can result in a fatal respiratory or cardiac arrest. In addition, the misuse of prescription opioids is a risk factor for starting use of street drugs such as heroin. People who are seeking a hydrocodone polistirex and chlorpheniramine polistirex pennkinetic high may show physical signs of hydrocodone addiction. Abuse of these medications can cause severe short- and long-term damage to the user’s body and mind. That’s why it’s essential to get help without wasting any time. Treatment for opioid abuse is available at drug rehab facilities around the country. 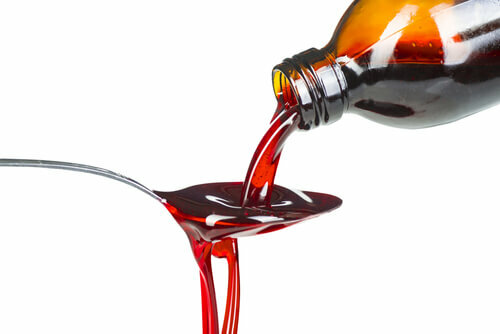 If you or someone you love is abusing Tussionex hydrocodone cough medicine, call our free helpline (888)-459-5511 for more information on treatment options. Advisors are available to answer your questions on opioid dependence, give you more information on safe and effective addiction treatment, and guide you towards long-term recovery from prescription medication abuse. Calls are always confidential and secure.